This is one of the smallest bamboos. The most noticeable characteristic of this bamboo is its leaf texture. 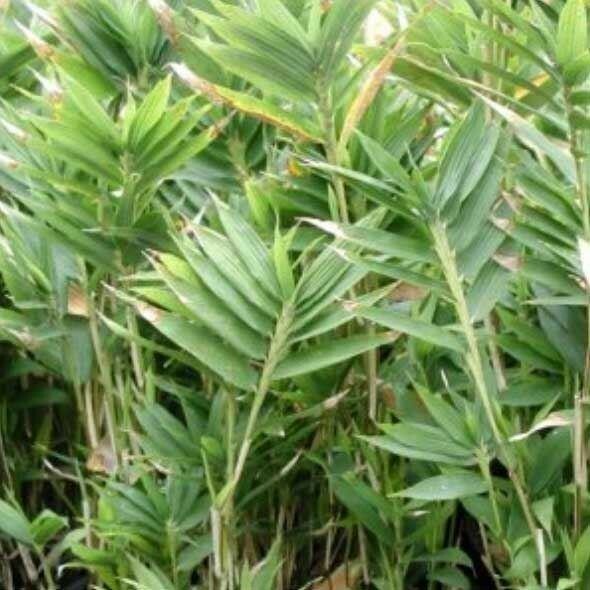 The leaves are very tough and erect and fan out in groups of 5 or so leaves making them look very much like little palm or fern leaves. It is very hardy, and makes a great ground cover plant. Supplied in approx 2 litre pots.